Wooden blocks are a humble and timeless staple of childhood play. 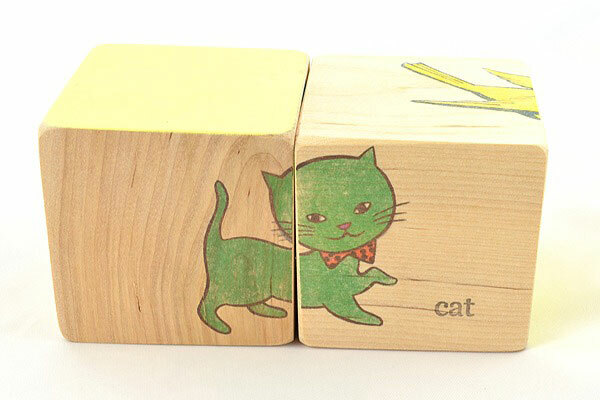 These sweet animal puzzle blocks by Stacy Wong definitely find the right balance of fun and function. Stacy Wong’s line of Handmade Wood Goodness is just gorgeous and her latest range of domestic animal wood puzzle blocks has caught our attention. 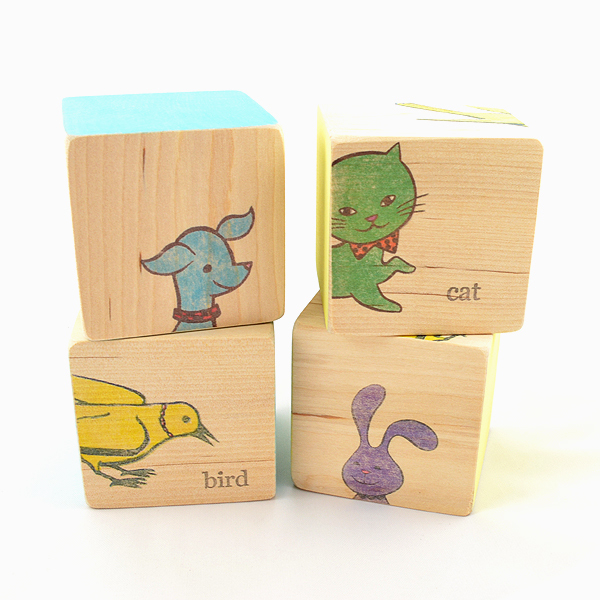 Each set contains two solid wood, animal puzzle blocks. Available in yellow or blue, these sets are packaged in a drawstring canvas bag that adds an extra measure of nostalgia to the purchase. Match up the front and back end for each of four animals – a dog, cat, rabbit and bird. 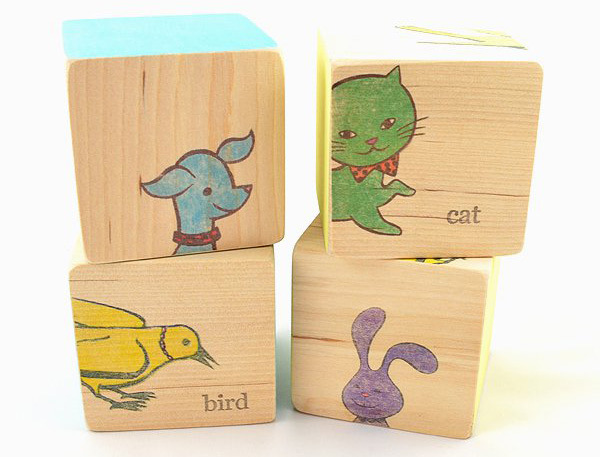 Each animal’s name is also printed on the block to encourage little ones to learn, identify and even spell the animal word and associated letters. In a growing trend of environmental awareness and child safety – that we love by the way – each handmade block is painted with soy paint and water based inks and has a lovely matt finish. The sides are sanded and at 6.3 cm, the blocks are the perfect size for chubby little hands (or the display shelf in the nursery or child’s bedroom). Stacy Wong Handmade Wood Goodness products are created in Stacy’s home studio in Manhattan Beach, California. You can buy these wooden puzzle blocks for US$22 through Stacy Wong Handmade Wood Goodness or Twine, where you can find a host of other products that show off another side to Stacy’s creativity. They already have a loyal fan base in Australia and ship anywhere in the world.